Free Shipping on this gift! 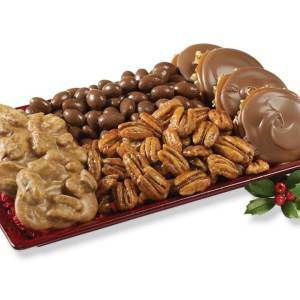 The perfect gift for the praline lover in your life! 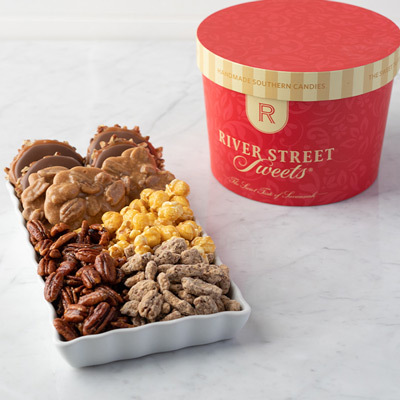 this gift-able canister arrives with 8 of our most popular Original Pralines. 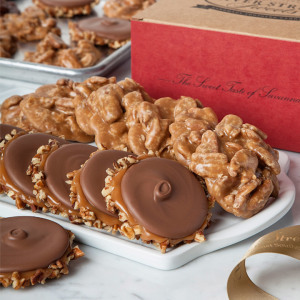 Individually wrapped and ready to share. This item receives Free Ground Shipping when shipped alone, or with other Free Ground Shipping items. Express shipping will incur additional fees based on the shipping method chosen. Ground Shipping : is just $8.95 per address. Military addresses (APO, FPO etc.) : Receive Free Ground Shipping automatically as we strive to support our hard working troops. Some of our items are more delicate than others. For this reason, our site will automatically adjust the shipping method for these items. In the event that additional adjustments are needed, we will reach out to you personally to verify the changes. Please refer to the details below for specific items. It was the perfect treat for the Christmas holiday! Everyone loved them. 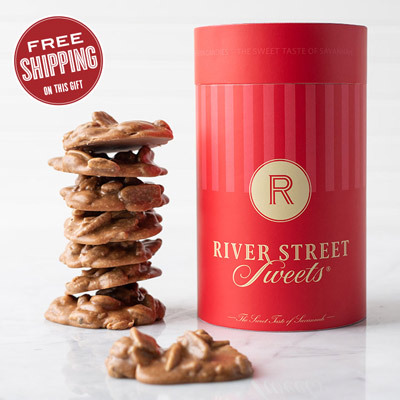 The recipients contacted me right away to say how the pralines brought them right back to River Street in Savannah Georgia. We vacationed together and were drawn into the shop after tasting a sample outside. They are unable to travel now, so I sent a little of Savannah to them.